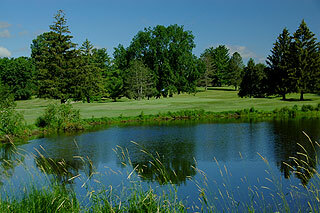 Rolling Meadows golf Course in Whitmore Lake is aparkland style course which opened in 1978. The layout features a traditional style golf experience, with modest bunkering and tree lined fairways along mild terrain that is fairly even with the exception of a few undulating fairways. Tee boxes are consistent with the flat terrain and most greens are slightly elevated, but still leaving ample bump and run opportunities from the fairway in front. 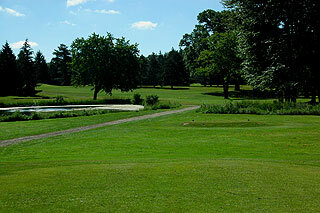 This 6,474 yard par 71 course is slightly more than 400 yards longer on the back than the front nine. 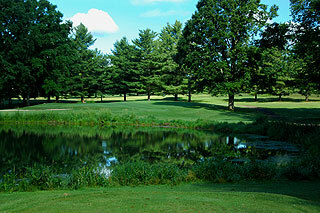 The front features two par 3's, with only one – 231 yards - on the back, and only two par 5's total. 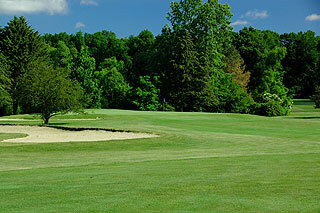 There are 15 sand bunkers located mostly near the greens, and water comes into play on 6 holes. The front is full of scoring opportunities, being that it is far shorter, and most water hazards are featured on the longer back nine. 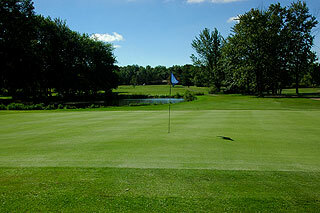 The putting surfaces here are medium sized and with slight undulation and are generally sloped from back to front. Color coded flags will indicate whether the pin is located in the front, middle of back of the green. Greenside bunkering is understated and these obstacles are only found on one side of the green, leaving some room for error upon approach. On course, yardage markers are provided by color yardage stakes in the fairways at 100, 150 and 200 yards from center green. Four sets of tees allow golfers to play from yardages and slopes measuring 6400 yards, 6035 yards, 6035 yards and 4862 yards. 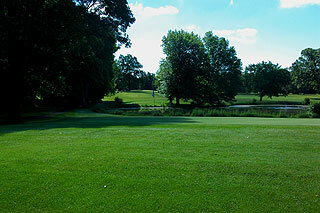 The slope is 133 for men from the back tees, with a rating of 70.9. Rolling Meadows clubhouse features a full bar, billiards and darts, a pro shop including all of the necessities to enjoy a round of golf, and a patio with a great view of the 9th green. 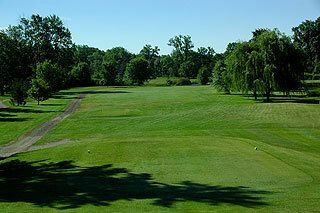 Practice facilities include a driving range and practice green. The slope ratings are not particularly high, indicating that mid handicappers can perform well here. 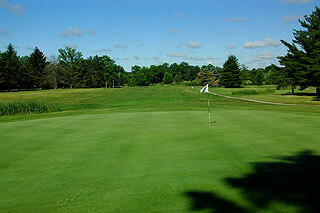 There are enough interesting holes, especially on the back nine, to satisfy the seasoned golfer as well. For more info including a direct link to their website, visit our page for Rolling Meadows by clicking here.